We have gained expertise in Manufacturing and supplying a remarkable range of Jacketed Reactors. These reactors are engineered in accordance with the international quality standards. We used the superior-grade raw material for manufacturing the offered products. The required raw material is procured only from the leading vendors after testing its quality. Our product is highly reliable for industrial applications. 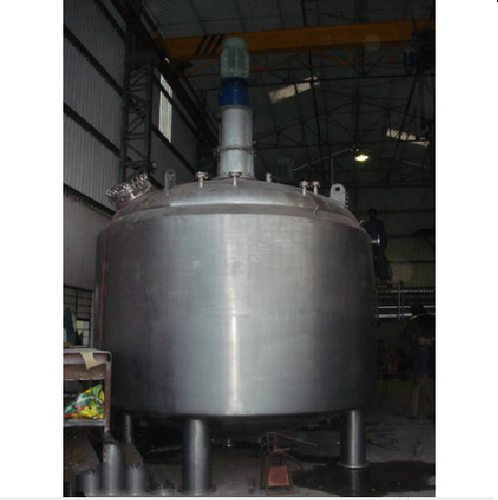 Our organization, Acme Process Systems Pvt Ltd. was established in 2009, which have been involved in manufacturing and supplying of a commendable array of Industrial Vessels, Industrial Reactors, Distillation Systems, Column Internals, Industrial Tanks, etc to our clients. Our technologies are highly effective, reliable and cost-effective. The offered product range is acclaimed by, the patrons for their easy installation, low maintenance, high operational efficiency, and accuracy as well as leakage-proof long lasting functionality. Owing to these salient features, our products demanded in the various industries such as Chemical, Petro-chemical, water treatment, and numerous other industries. We are backed by a team of highly skilled and experienced professionals. Our professionals make the best use of all the advanced tools, equipment and machines installed in our spacious infrastructure. We have segregated entire infrastructure in order to ensure execution of each business activity in a well-organized manner. It enables us to bring forth quality-assured product line into the market as well as provide our qualitative solutions to the clients. Owing to our well-defined and researched quality policy, we have been able to garner a huge client base. Thermax Limited, Pune, Maharashtra, Akzo Nobel Paints, Chandigarh and numerous others are our clients.